One of my most favorite things in the world is the opportunity to deal with extremely varying database and environment requirements. Many vendors and databases seem to have a wide swath of different requirements. Some of the reasons for these requirements are absurd and some are not. That is a discussion for a different day. When dealing with vendors, sometimes you get good documentation and requirements for the app. If you happen across one of these opportunities, you should consider buying a lottery ticket. Most of the time, the requirements and documentation are poorly assembled and then suffer from linguistic shortcomings. What do you do when you run into poor documentation from a vendor? The typical answer would be to either call them or make a best guess (even if you call them, you are likely stuck with a best guess anyway). Then what do you do when you find that your best guess was completely wrong? Now it is time to back pedal and fix it, right? When that mistake involves the server collation setting, the solution is simple – right? All you need to do is uninstall and reinstall SQL Server. That is the common solution and is frankly a horrific waste of time. This article will show some basics around fixing that problem quickly without a full reinstall. I do hope that there is something you will be able to learn from this basics article. If you are curious, there are more basics articles on my blog – here. I am not a huge fan of wasting time doing something, especially if there is a more efficient way of achieving the same end result. I am not talking about cutting corners. If you cut corners, you likely just end up with having more work to do to fix the problems your sloppiness will have caused. That to me is not the same end result. Having run into a bit of a problem with a vendor recently (with lacking requirements), I found myself with a server that was installed with the wrong collation instead of what the vendor wanted (never-mind they said nothing of it until a month after the server was setup and ready for them to use). The vendor needed the collation fixed immediately (basically it needed to be fixed yesterday). I really did not want to do a reinstall of the server and the sysadmins were just about to click through the uninstall and redo the install. Oy Vey! Everybody hold up just a second here! First things first – verify with certainty there is good reason to need to change the server collation. It is perfectly legit to give the vendor the third degree here. Make sure they understand why they need the change. If they can answer the questions satisfactorily, then proceed with the change. Next, just because the vendor says you have to uninstall/reinstall (or reboot) the server to make a certain change, does not mean they know what they are talking about. I have run into too many cases where the vendor thinks you must reboot the server to change the max memory setting in SQL Server (not true for sure). Sure, common myth would say that you must reinstall SQL Server in order to change the default server collation. That is not entirely accurate. Reinstall is just one option that exists. In the case of this vendor, they required that the SQL_Latin1_General_CP850_CS_AS collation be used. The server was set for SQL_Latin1_General_CP1_CI_AS. So, let’s see how we can change the collation without a reinstall. The first thing to do is to confirm the collation we have set. We can see from these results that indeed the collation is wrong and we need to change it in order to comply with the request from the vendor. Next we will need to stop the SQL Server services. I think that is pretty clear there what to do. As a reminder, the preferred method to stop and start SQL Server services is via the SQL Server Configuration Manager. We won’t do every start/stop from here for this article for good reason. 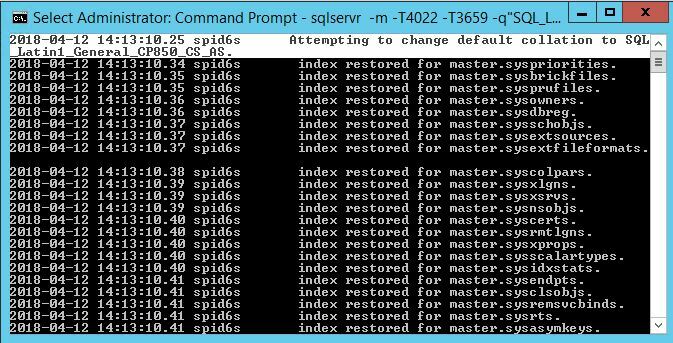 Once the services are stopped, then we need to open an administrative command prompt and navigate to the SQL Server binn directory as shown here. This is for a default instance on SQL Server 2017. If you have a named instance or a different version of SQL Server, you will need to navigate the instance folder structure for your instance. 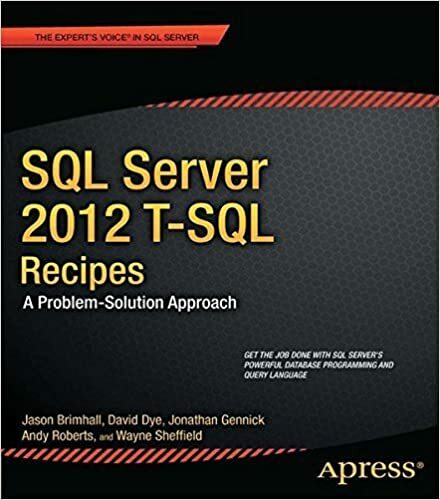 sqlservr -m -T4022 -T3659 -q"SQL_Latin1_General_CP850_CS_AS"
There are more such as -s available in books online for your perusal. If you are curious what is up with those Trace Flags, pretty simple. TF4022 is to bypass startup procs. TF3659 on the other hand is supposed to write errors to the error log (at least in theory). In the first, you can see that it says it is attempting to change the collation. In the second, just before the completion message, it states that the default collation was successfully changed. Let’s close this command prompt window and then go start SQL Server and validate the change. And that is a successful change. See how easy that is? This effort takes all of maybe 5 minutes to complete (validation, starting, stopping and so on). I would take this over a reinstall on most days. Now that we have changed the collation, all I need to do is repeat the process to set the collation back to what it was originally (in my test lab) and make sure to bookmark the process so I can easily look it up the next time. There is a bit of a caveat to this. On each change of the collation, I ran into permissions issues with my default logging directory (where the sql error logs are written). I just needed to reapply the permissions and it was fine after that (SQL Server would not start). That said, the permissions issue was not seen on the box related to the change for the vendor. So just be mindful of the permissions just in case. Every now and again we have to deal with a sudden requirements change. When that happens, we sometimes just need to take a step back and evaluate the entire situation to ensure we are proceeding down the right path. It is better to be pensive about the course of action rather than to knee jerk into the course of action. Do you want to spend 5 minutes on the solution or 30-40 minutes doing the same thing? Changing collation can be an easy change, or it can be one met with a bit of pain doing a reinstall (more painful if more user databases are present). Keep that in mind and keep cool when you need to make a sudden change. I don’t see a mention of how or if, existing databases are affected. IIRC, changing server collation only affects new databases. I think it is worth a mention. 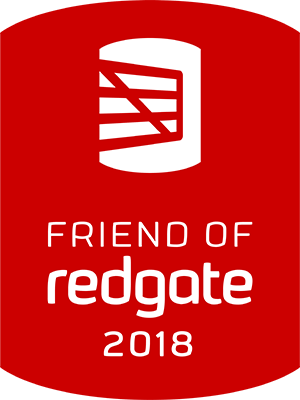 I didn’t show the impact to my existing databases on the test instance because I felt it out of scope. That said, I had a few user databases on the instance with the default collation and no other special collations (e.g. column collation). The database collation for those databases will indeed change. However, there will be a data impact and you must test your data and figure out how to resolve those issues. One thing to note: this was a brand new install with no data in the database. Thus the only concerns were changing the system database(s) to rely on the new collation. This is a great solution, but its also an extremely rare occurrence. Most of the time a collation change involves a data port from one’s old system to a new one like when you’re trying to move data from a 20-year-old SQL Server on the original (case sensitive collation) to the current default collation. That process isn’t nearly this easy. Images are identical as is some of the text. Thanks for the heads up. I sit here stunned and amazed that a Microsoft Employee did this. Thanks for this, very useful. Can I clarify on the difference between this solution and the rebuild of the master database? Is it based upon user databases present or not? I have to ask, why rebuild master if you don’t have to? Are there any user database? Objects installed in master (not MS objects)? Security principals that would need restored? Rebuilding master seems like overkill if all that is needed is to change the collation. 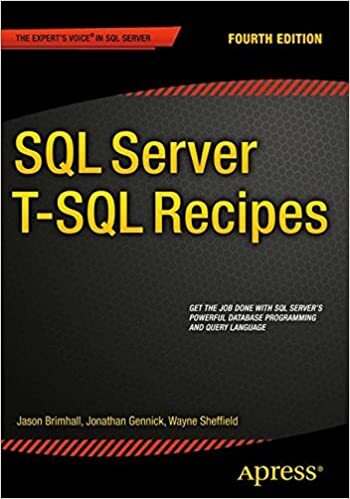 I am new to SQL Server and very much finding my feet, so apologies for my lack of understanding. My question was based upon reading a number of different articles relating to collation change. I went with your fix, so again thank you.